Corned beef egg rolls are a nice twist on the classic appetizer recipe. Make these after St. Patrick's Day when you have leftover corned beef, or just anytime when you want a delicious recipe for entertaining. If you have leftover potatoes and cabbage from St. Patrick's Day, use those instead of the cabbage and frozen potatoes; just cook with the onions for 1 to 2 minutes to heat through before continuing with the recipe. 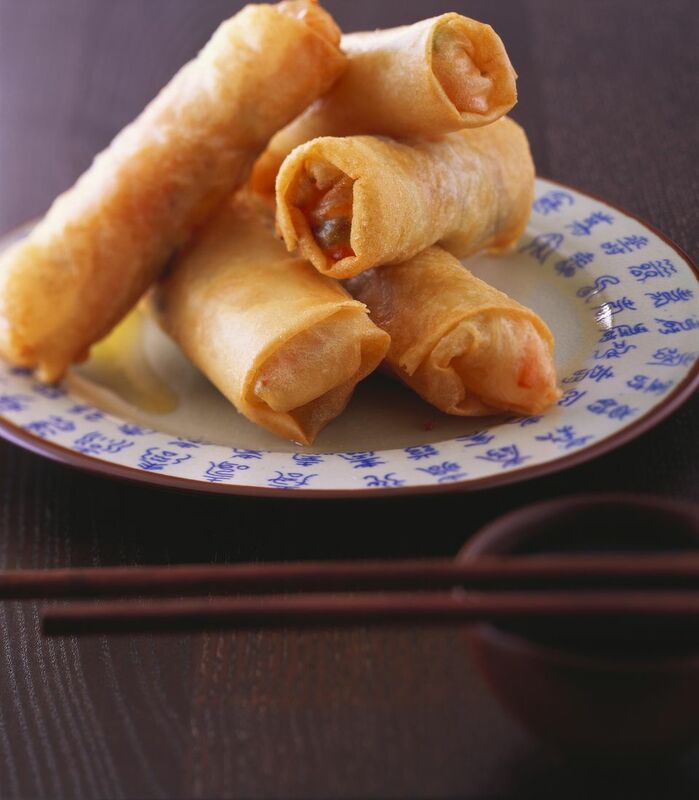 Egg rolls are a classic appetizer from China. Egg roll wrappers, which you can find at just about any grocery store, are filled with a savory mixture, then rolled and sealed with water. The little rolls are usually fried, but they can be baked too, until crisp and golden brown. For some reason this type of recipe has a reputation for being difficult, but egg rolls are really easy to make. The rolls are served with some kind of dipping sauce. The classic sauce is made of mustard or a combination of sauces and herbs. For this recipe, Thousand Island dressing makes a nice change of pace, and compliments the flavors of the corned beef and cabbage egg roll filling perfectly. In a medium skillet, melt the butter over medium heat. Add the onion and garlic to the butter; sauté and stir for 4 minutes. Add the cabbage; cook and stir for 3 minutes. Then add the potatoes; cook and stir until the cabbage and potatoes are tender, about 5 to 7 minutes longer. Stir in the corned beef and mustard and remove the pan from the heat. Season the filling to taste with salt and pepper; remove the filling to a medium bowl and let cool for 15 minutes. You can make the filling ahead of time up to this point; cover and refrigerate up to 2 days. Place the egg roll wrappers on a work surface. Divide the filling mixture among the wrappers, using about a tablespoon or two of filling for each one. Brush the edges of the wrappers with water. Fold one corner over the filling, then fold in the sides and roll up. Brush the little egg rolls with vegetable oil and place on a cookie sheet. Bake for 18 to 21 minutes until crisp and golden brown.